Gstaad Limousine Service | Luxury cars, professional drivers. Your limousine service in and around Gstaad. limousine service, Airport transfers, event shuttles - anything else? With more than 10 years of experience, we deliver first class tailor-made chauffeured services in Gstaad, Switzerland and Europe. Our limousine service is ideal for occasions such as special gala dinners in Gstaad, business road shows in Geneva or shopping trips in Milano. Bespoke departure/arrival service in our comfortable vehicles to/from any Swiss or international airport or railway station you desire. We can assist you with a multi-functional event shuttle service, rent-a-driver offering, valet parking service, car delivery service and more. With our customers, for our customers - the Gstaad Limousine Service team on the road. Leading hotels, international companies, private jet firms and uhnwi-family offices rely on gstaad limousine service. After more than 10 years in the limousine business, we managed on the one hand to build up a network of loyal clients such as private international customers, royal families and VIPs. On the other hand, we have an excellent track record collaborating with local hotels and international companies such as fashion and jewelry brands. A great team of passionate, professional and friendly drivers with a fleet of luxury cars, who simply love what they do. Limousine service, airport transfers - we love what we do. Gstaad Limousine Service is a distinctive brand of Taxi Simon, one of the leading transportation service providers in and around Gstaad. We built the limousine service team in 2016 in order to serve the more sophisticated chauffeured services needs our customers require. Ever since, our team strives to provide the highest quality of services to their clients. We guarantee that you will be pleased with our professional staff and fully trained, multilingual chauffeurs. We offer a complete selection of the best and newest vehicles for all your transportation needs. 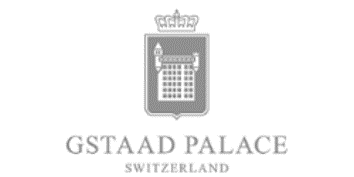 Based in Gstaad, we offer our services across the whole of Switzerland and Europe. We guarantee the highest quality, discretion, safety, reliability, friendliness and comfort. Remember, it’s not where you go, but how you get there. Today, we are proud to provide first class limousine services, tailor-made airport transfers, flexible event shuttle services and much more. Our first class limousine service is characterized by multilingual and trained drivers, the newest Mercedes-Benz sedans like the S-Class and Mercedes-Benz V-class minivans as well as a spirit, which strives for pure perfection in execution. It is a personalized service that suits your travel needs in any way you can imagine. It incorporates services such as discrete à-disposition chauffeured services (e.g. sponsored events, gala dinners, shopping etc. ), professional business limousine service (for road shows, meetings, workshops) and individual sightseeing tours with a chauffeur-guide to beautiful Swiss sightseeing places (e.g. Chateau de Gruyère, Cailler Chocolat Factory in Broc, Montreux, Geneva, Interlaken, Jungfrau Joch, Lucerne). Our drivers have many years of driving experience, are professional, friendly, impeccably dressed and always punctual. Our tailor-made airport transfer service allows you to travel to any chosen national or international airport (like Geneva, Zurich, Bern, Basel or even Milano) or railway station (like Gare de Lausanne, Geneva or Vallorbe) while enjoying the marvelous environment of the Swiss Alps. We offer professional departure and arrival service with a door-to-check-in assistance as well as a very personalized airport executive ground service, especially suited for private flights with helicopters and planes. Our third pillar and very much requested service is the event shuttle service. We have a fleet of more than 5 spacious Mercedes-Benz minivans (V-class and Viano). In addition, since many years, we cooperate since many years with great partners, which means that we can rent an infinite number of additional V-classes or Vianos for larger events. These minivans are perfectly suited for every "Gstaad-like" Chalet party and dinner or glamorous wedding in and around our wonderland Gstaad. With our experienced crew, we so far managed celebrations of more than 200 guests. We coordinate the parking for your guests, pick them up right in front of their car, bring them to your entrance and return them at the end of the festivity to the place they desire. Besides our three core businesses, limousine service, airport transfers and event shuttle service, we also like to assist our clients with our logistical experience by delivering valet parking service, rent-a-driver or our car delivery. Furthermore, we also blog (Insights) about upcoming events that are worth seeing as well as interesting insight about our business that we would like to share with you. Therefore, connect with us through our social channels and have a look at our blog! If you have any interest in getting to know us better, contact us by our contact form, email or phone. We are already looking forward to meeting you soon. Enjoy your stay in Gstaad. Interested in any of the above-mentioned services?